Who's the mother and who are the daughters, call it what you like— optical illusion,optical quizz or just one confusing photo! But two things are crystal clear—the four women I'm this picture are truly gorgeous, and One of them is mother to the other three. Hard to believe I know, some might say number 2 is the mum—and they might be right—or wrong. I'm not telling, while number 4 might seem the likely candidate. But you might be wrong again. So answer the optical quiz. 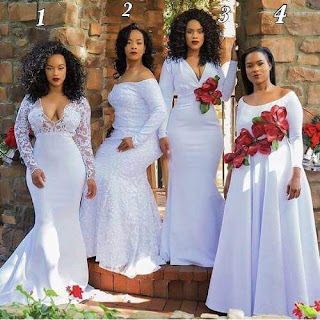 Who is the mother amongst the 4 beautiful women in the photo. Here's is a true,but really useless tip to help you. The mum is the bride in the picture.